This coming Monday, November 5th, US Cellular subscribers in 30 markets will have access to new high-speed LTE service. The carrier did not reveal all the specific cities that would benefit by this latest rollout, but did list the “leading markets” in Illinois, Maryland, Missouri, New Hampshire, Vermont, Virginia, and West Virginia. Shortly thereafter, subscribers in Rockford, Illinois; Medford, Oregon; Yakima, Washington; and Knoxville, Tennessee will have LTE services launched. 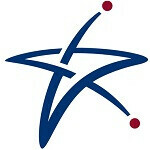 US Cellular will have more than half of its customers covered by LTE by the holidays. The carrier has partnered with King Street Wireless, LP who holds several 700MHz licenses in 27 states and is providing LTE services wholesale to carriers. If you are a US Cellular subscriber and are in a position to pick up a device to take advantage of the high-speed service, your choices are currently bound to three Samsung devices, the new Galaxy Note II, the Galaxy S III, and the Galaxy Metrix.